Police are appealing for witnesses after a man was assaulted and robbed in the early hours of Sunday morning. 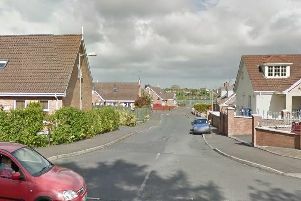 At around 3am on Millennium Way in Lurgan, a dark coloured car approached a pedestrian, a number of males got out of the vehicle and assaulted the man, robbing him of a large sum of money. The victim was attacked from behind and was left with visible injuries to his face. If you were in the vicinity of Millennium Way, near the area of Lurgan Junior High at this time, or have any information that could aid inquiries, please contact Police on 101. The reference number for this incident is 277 25/11/18.